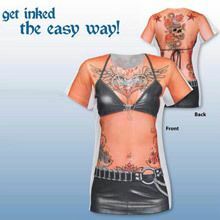 Get inked! Get that trendy, tough biker look the easy way! 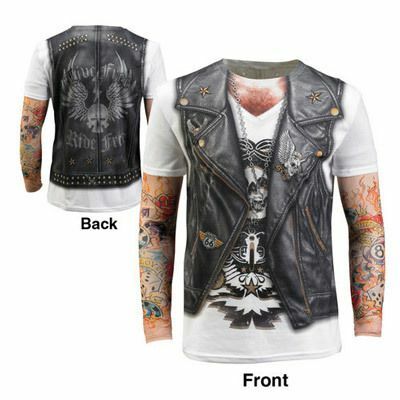 Fun polyester men's tee is printed front and back with colorful tattoos, leather accessories, skulls and chains. Long sleeve crew neck. Machine Wash. Imported.